I love it when I meet people who share the same passion for their furry little friends as I do. I never talk about other business people unless I feel a genuine connection and I felt a connection when I first met Megan Travers at a networking event in Melbourne CBD, we hit it off instantly. Not only is Megan a wiz at PR, advertising and digital but she also loves dogs and founded a unique brand called Dogtired, which specialises in high-end, fashionable beds for dogs. As soon as I found this out I couldn’t help myself but to show her photos of Goochie. Doesn’t he look handsome. It took me hours to brush his coat to make sure he looked amazing for this photo. It took an exhausting 18 months of designing and prototyping with a local industrial designer to create the perfect bed for dogs and the first Dogtired bed was launched in December 2012. Megan was very particular with the design she wanted, she needed a design that was portable, functional, and fashionable. 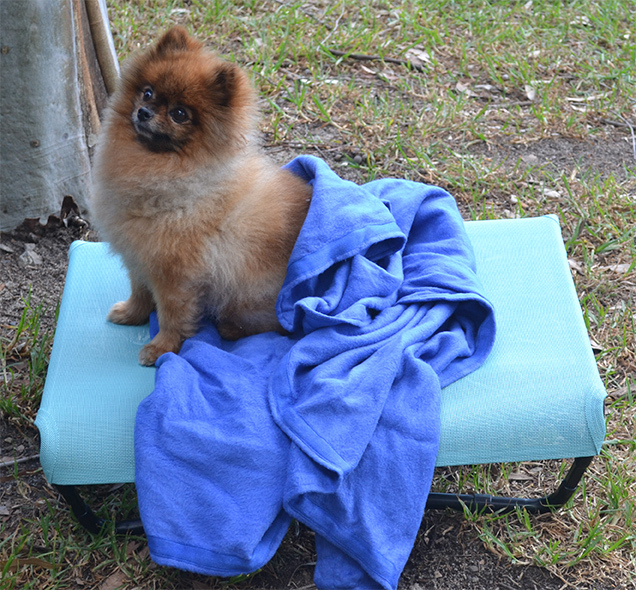 It was important to her that her dog beds were durable and comfortable for dogs of all sizes. Her dog beds are made from a mould resistant fabric that is stretched over four part tubular steel frame. The tension between the fabric and the frame provides support under the weight of the dog and adjusts under shifting pressure (so basically it changes according to the position of your dog on the bed). The technology of the fabric is unique to Dogtired. It remains cool in summer and is easy to clean and dries quickly. It’s tear resistant and very strong with excellent resistance to the outdoors. The tensions in the fabric remains uniformed meaning no sagging will occur in any part of the fabric. The cover is not indestructible but unlike a women’s stocking it won’t “run” the fabric can be pierced and torn but will not continue to fray. Goochie was given the chance to road test a bed for a few hours from Dogtired. 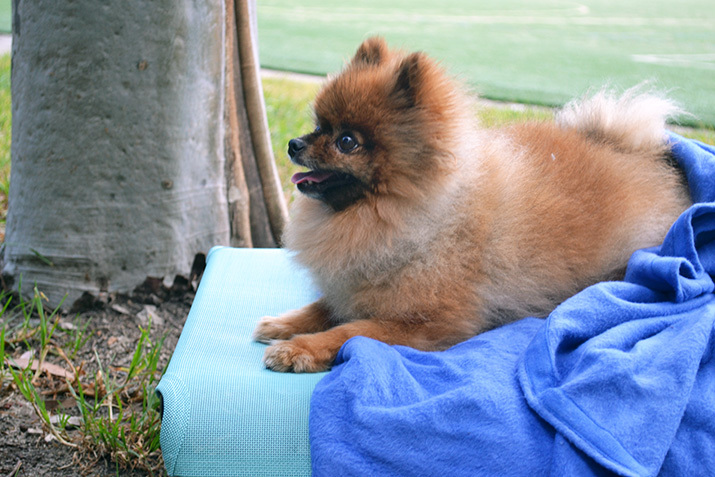 So one afternoon we took the bed, a blanket and a freshly groomed Goochie to the park to take some photos. 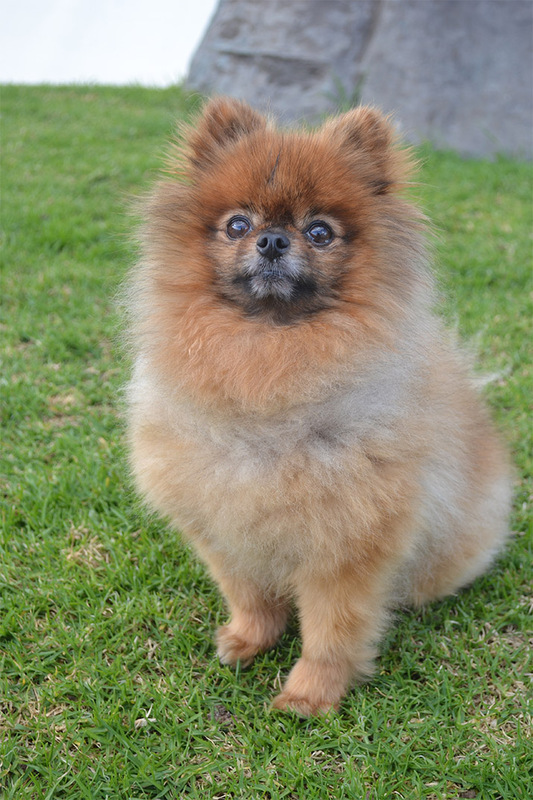 Goochie is small and only weighs 3kg and found it relatively easy to jump on and off the bed. As a small dog owner I find it hard to find a bed small enough for him, this bed was a good size for Goochie. If you have any concerns about which size is best for your pooch get on touch with Megan. This bed was a good size, it had enough space for a blanket as well as his toys which Goochie likes to have next to him when he sleeps. It’s nice to know that I now know someone locally who cares so much about dogs that she has invested a lot of her own time (and money) to create from scratch a very high quality bed for your best friend, your dog.